Birmingham City will demand in excess of £20m to part ways with striking hotshot Che Adams amid rumoured Premier League interest. The 22-year-old has enjoyed a fine campaign at St Andrews this season, and had attracted interest from the top flight over a potential move last month. However, according to ​The Times, the Blues are seeking around £22m for Adams' signature, and rejected a £12m approach from Burnley despite the club's financial concerns. It was also earlier reported that ​Burnley's ​Premier League rivals ​West Ham and ​Southampton had registered their interest in making a move for the forward, but were turned down by Birmingham. The 22-year-old earned a high-profile move to Sheffield United in League One in 2014 after catching the eye of scouts during his playing days at non-league level. 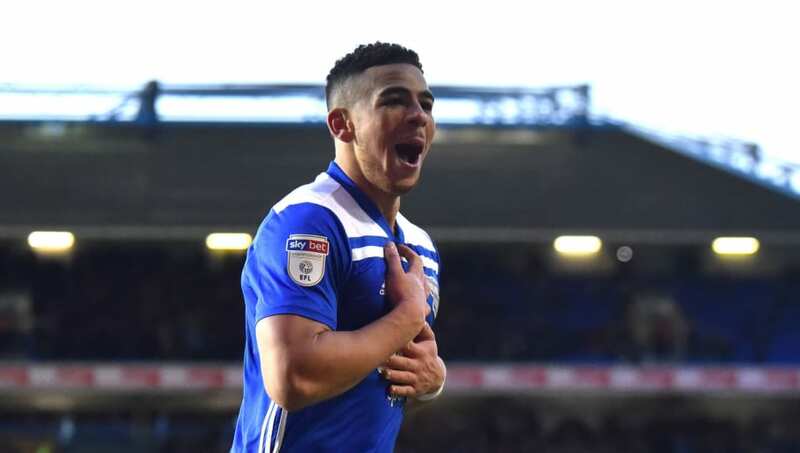 Che Adams has played six league games in 2019. He's scored in every single one of them. After scoring just three times in his first season at Bramall Lane, Adams fared better in his second season at the club, finding the net 12 times in 41 appearances. The England U20 international's form saw him join ​Birmingham in a reported £2m deal, and scored a combined 16 goals in his first two campaigns at St Andrews.